Earlier this month, I had the pleasure of appearing on Fox 11 news here in Green Bay, Wisconsin to bring viewers some adorable Thanksgiving and Fall craft ideas. Today, I'm excited to share one of them with you. This may be my favorite of them all. 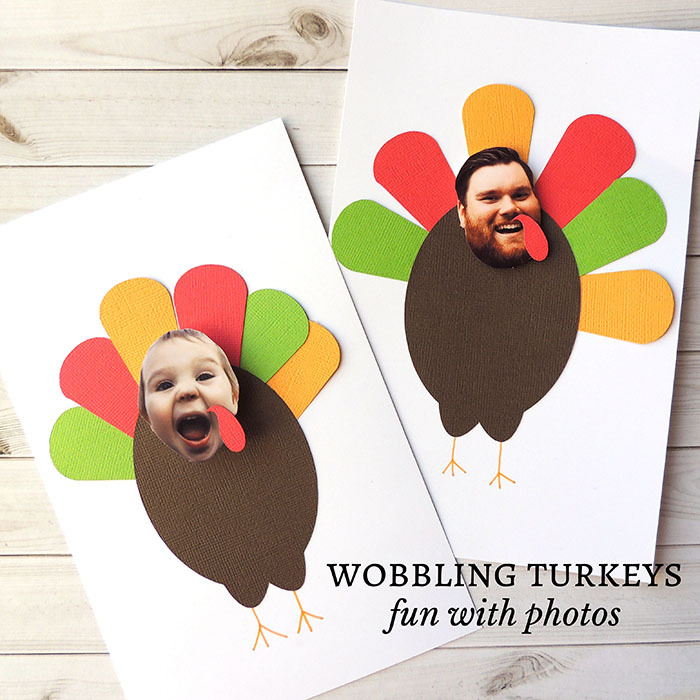 That's right, I'm going to show you how to take your photos and turn them into a fun, wobbling turkey. I guarantee you'll have loads of fun and laughter once you start. The first step is to round up photos of your favorite friends and family members. I looked for a collection of faces that were looking straight at the camera, making sure to pick a few funny ones too. Our shop's Canon large format printer came in handy for this. 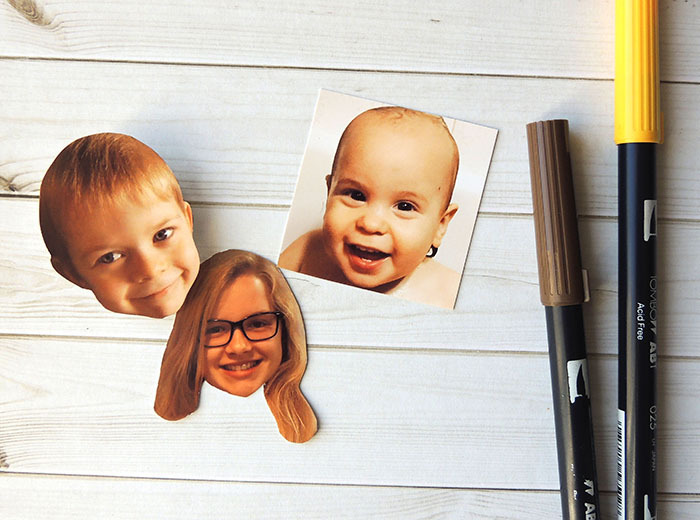 I sized the photos at 2 by 2 inches in Photoshop before printing, but use whatever size you have! Cut around the the face as close as you can without distorting the image. Say bye-bye to their cute bodies for now. Feel free to skip this next step, but we wouldn't recommend it. Why? 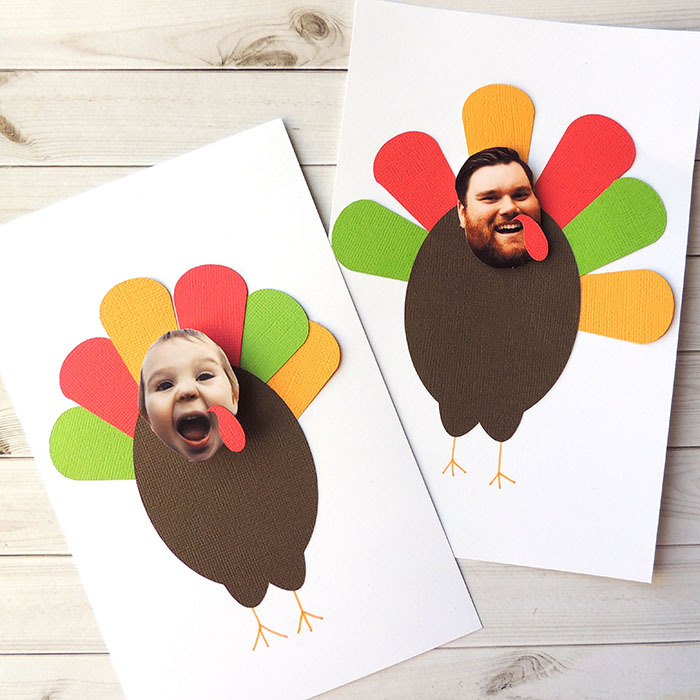 Because what's cuter than turning yourself into a turkey? Turning yourself into a turkey that wobbles, that's what! Grab a pack of Action Wobble Springs, self-adhesive plastic springs that turn almost anything into a wobbling bobbling item. 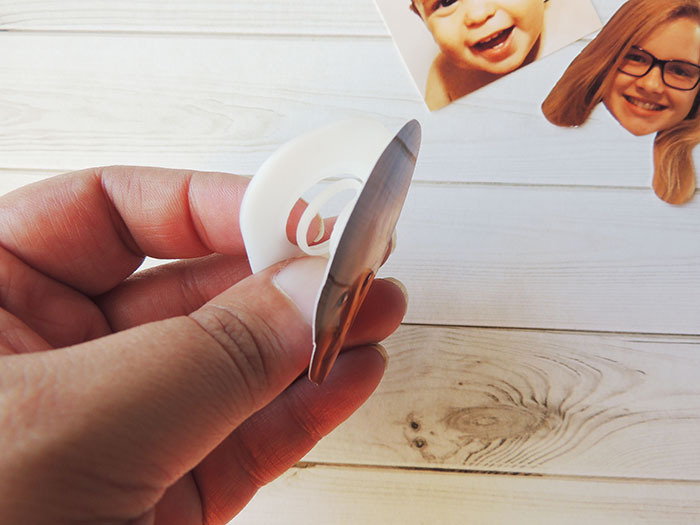 You'll remove the plastic liner on one side, and place that directly to the photo. Trim any adhesive if needed. You'll then attach this to your turkey body. To create the turkey, I cut feathers and a body from American Crafts Cardstock using the Silhouette Cameo. This made mass production easy and effortless! Don't have an electronic cutter at home? No worries, allow the kids to cut out their own from paper, draw with crayons, or trace their hands for fun feathers. How fun is this?! 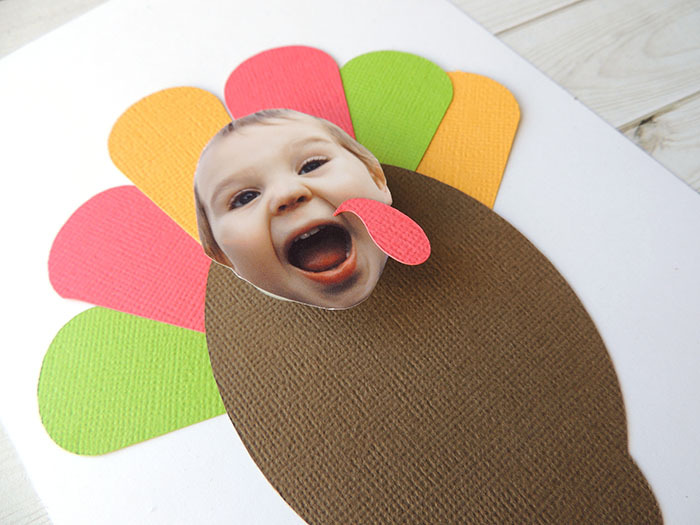 To see these little guys in action and see additional Thanksgiving crafts for you and the kids, click here. You'll watch the two segments we created for Fox 11 and gain lots of fall inspiration. SUPPLIES Cardstock: Paper Cut (White), American Crafts. Ink: Tombow Markers. Tools: Silhouette Cameo, Action Wobble Springs (6 pk, 12 pk), Canon Printer.